We are going to rotate the loot again to make it more interesting. Feedback is always welcome in the comments below. 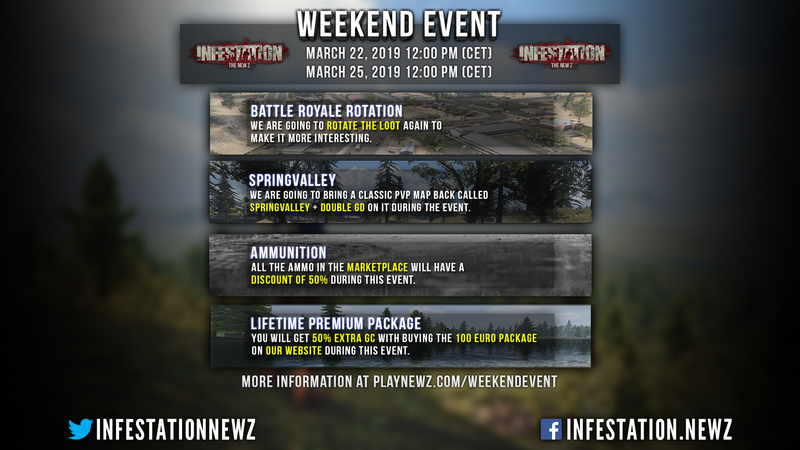 We are going to bring a classic PvP map back called SpringValley + Double GD on it during the event. Double GD is only during the weekend. 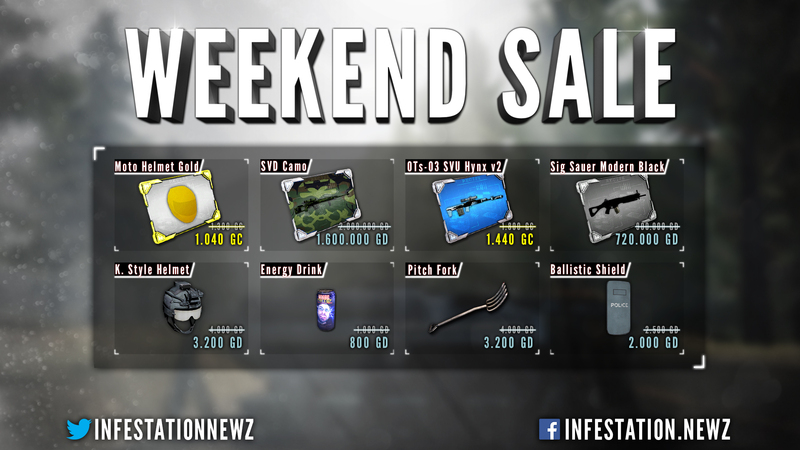 All the ammo in the marketplace will have a discount of 50% during this event. You will get 50% EXTRA GC with buying the 100 Euro package on our website during this event. Is the 50% EXTRA GC ﻿﻿the best deal or there can be something like 100% extra ? 200 % extra? 100% extra would be double GC, which is something we only do on rare occasions and unannounced. So yeah, it's pretty much a good deal to get 50% extra. It doesn't happen a lot. Thanks for your response. Unfortunately for me as survival-only mode player it does not make a whole sense.